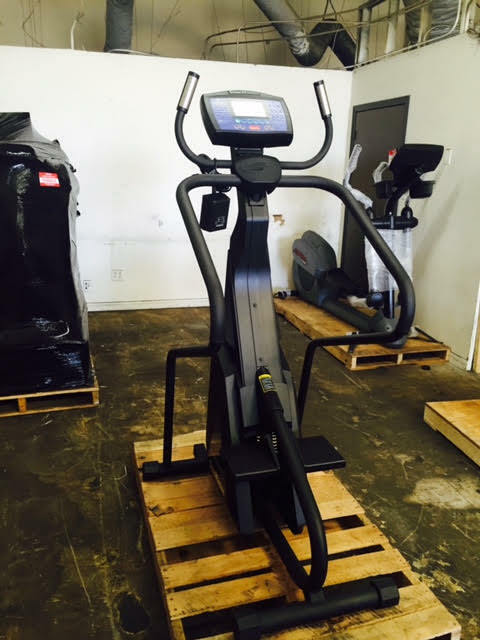 Home / Shop / Brands / Stairmaster / Stairmaster Commercial 4600PT/CL. Call Now for Lowest Pricing Guaranteed! Stairmaster 4600PT/CL stepper can provide highly energetic cardio training, and you do not need to step out of your home. 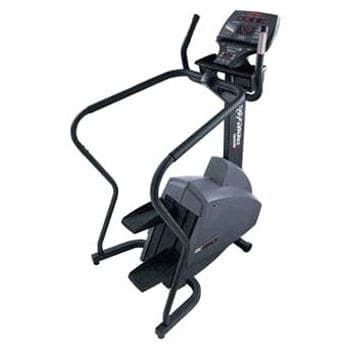 The machine is equipped with quality chain drive powered by an alternator that provides precise control over pedal descent that helps user choose their ideal workout pace. The machine offers six workout programs including CPAT (Custom Firefighter Fitness Test). Users can choose their stepping speed from 26 steps per minute, up to 174 steps. Additionally users can also choose their preferred step height from one inch to 14 inches. 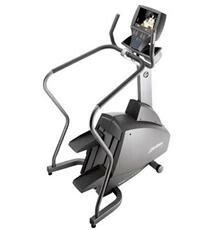 Stairmaster 4600PT and 4600CL are actually two different models with almost the same features. The only difference is that 4600CL is a cordless model that is self powered, whereas the 4600PT has to be directly connected to the outlet with a cord. 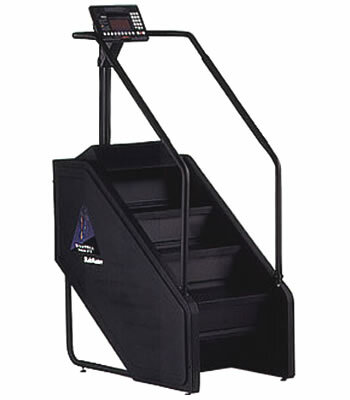 The 4400PT stepper can accommodate maximum user weight of 350 lbs compared to 300 lbs capacity of the 4600PT/CL. 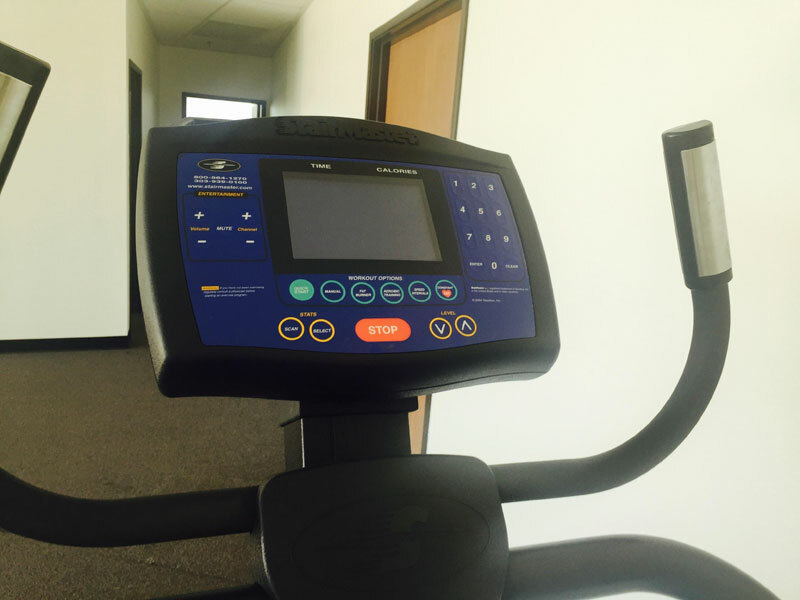 The 4400PT model also comes with nine workout programs, compared to six available on the 4600PT/CL. Another difference between the models is that 4600PT/CL has a backlit LCD display, whereas the 4400PT has an LED display. 2 reviews for Stairmaster Commercial 4600PT/CL. Call Now for Lowest Pricing Guaranteed! I love this stepper , it’s company and has a load of programs and has the bullhorn bars and the side arm rails to alternate my position when I’m working out . Used this in my gym and have this now in the comforts of my own home . The refurbished with warranty is what I purchased . Gympros provided great pricing and was very pleased with the condition and it’s workings . Thank you Doug for such service and help .